During my recent trip to Japan to review the Hello Kitty Rooms in Keio Plaza Hotel, I was invited to the refined Teppan-yaki Yamanami ( 鉄板焼やまなみ ). 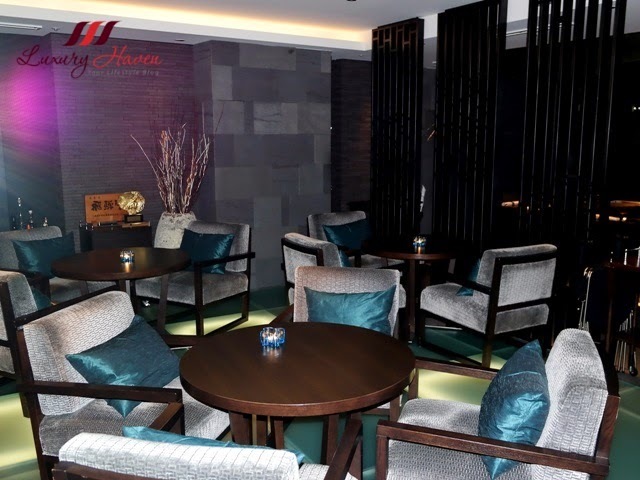 The cosy interior is divided into several sections, with the restaurant's western counter commanding a superb view of the city's skyscrapers, while the eastern counter facing a Japanese style roof garden, plus an open-space dessert lounge. 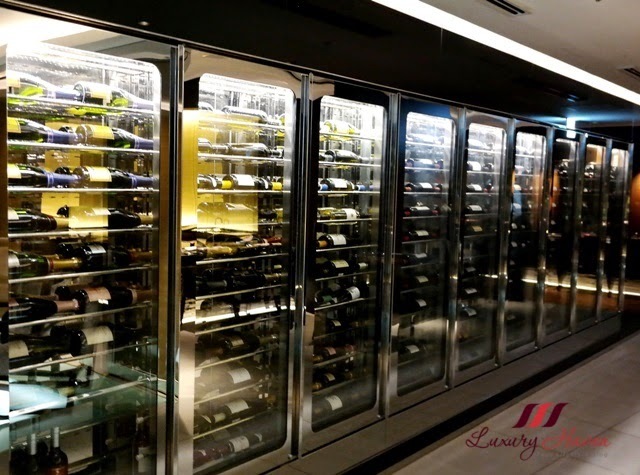 Wine drinkers will be impressed by their wine cellar with a wide repertoire of fine wines. 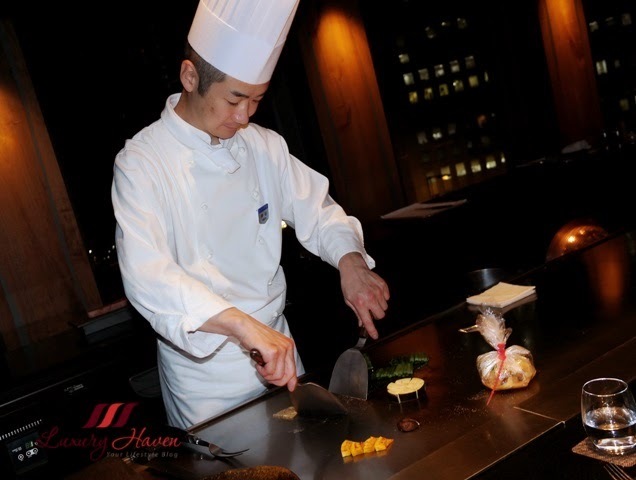 For those who haven't been to a #teppanyaki restaurant, it's a place where diners get to watch the chef at work, right before your eyes. Years ago, I used to see chefs in Singapore performing stunts like throwing knives and tossing pepper mills up in the air and then try catching them, but somehow I don't see these fancy moves anymore. 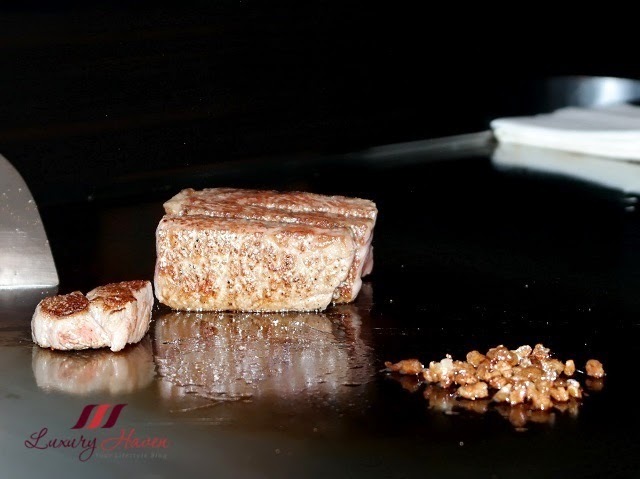 Ultimately, the Japanese meal is about premium ingredients perfected with precision skills over the teppanyaki iron griddle. 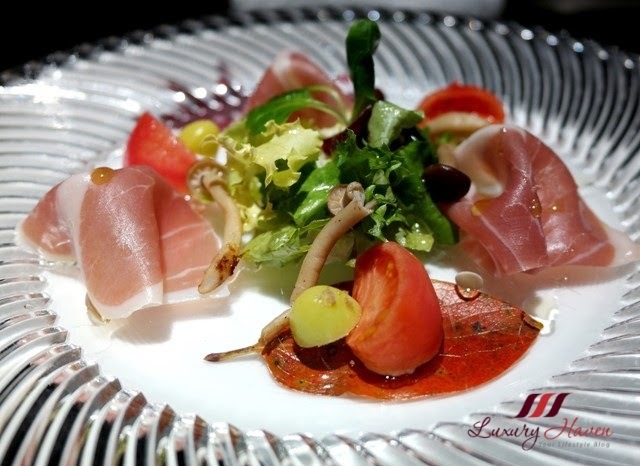 Helmed by the notable Master Chef Juniichi Hirano, Yamanami features Hida beef, Kobe beef, and carefully selected seafood including spiny lobster and abalone. 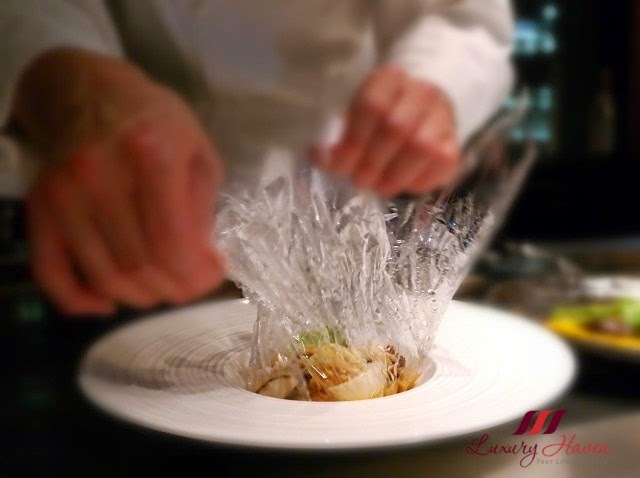 You'll be entertained by their chefs preparing each dish right in front of you in an extravagant live performance. October was Yamanami's 2nd Anniversary. 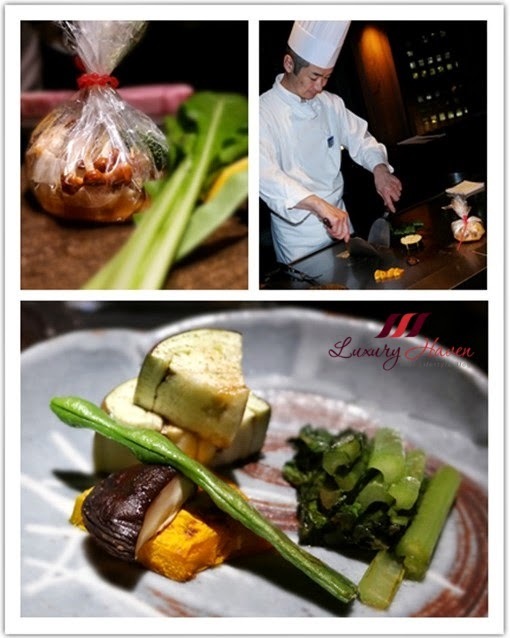 That evening, we had the their Appreciation Promotional Course ( 開業２周年记念の谢恩ディナーコース ) at ¥19,000 nett per pax (approx USD 160). Our dinner commenced with a very interesting and tasty Amuse Bouche ( アミューズ ). Fans of sweet potatoes will be delighted with this savoury tart made from the Japanese golden and purple sweet potatoes. It was certainly a delightful start! 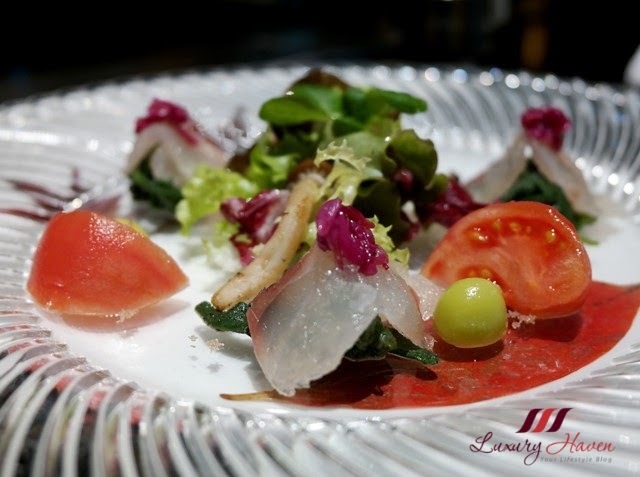 Next, I was greeted by Yamanmi's beautifully plated appetizer ( 彩り前菜 ) which is a Fish Carpaccio. Diners who aren't fond of fish can opt for their Parma Ham Appetizer instead, which is just as aesthetically pleasing to the eyes and palate. The Red King Crab, or Taraba Crab ( タラバ蟹 ) in Japanese, seemed to be in the season as this was my third time eating this delicious crustacean during my 1-week stay in Tokyo. 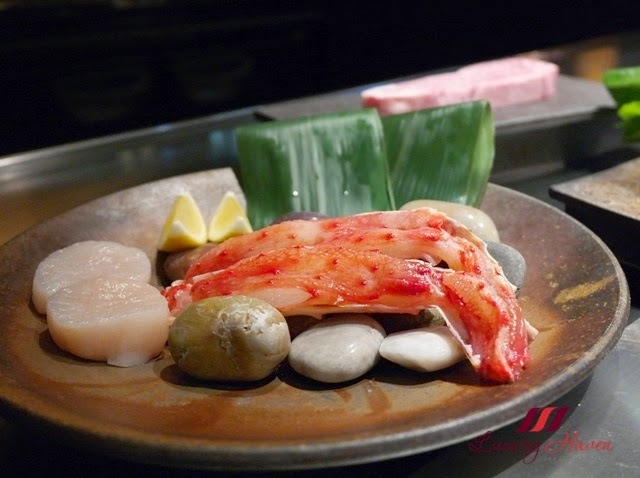 The dinner menu consists of the Red King Crab and Scallop ( 海の幸 - タラバ蟹・帆立貝 ), where mild seasoning and fresh ingredients are the keys to a teppanyaki's success. 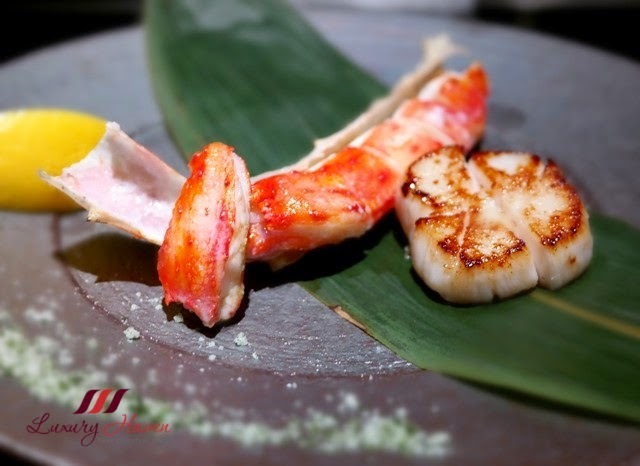 You'll get to savour the freshest seafood with minimum cooking and seasonings at Yamanami. If you like, you could dip into their home-made seaweed salt, but the seafood was good on its own; the succulent shellfish was oozing out its natural juices and flavours from the sea with each bite. An unusual sight was spotted with the Grilled Vegetables Course ( 焼野菜五種盛り合わせ ). Along with some greens, pumpkin and shitake mushroom, there was also a special package ( 野菜の包み焼き ) which seemed to contain some vegetables, beancurd and mushrooms. The vegetable wrap was left on the teppanyaki iron griddle to simmer while Chef Kamiya proceeded to stir fry the rest of the vegetables for us. 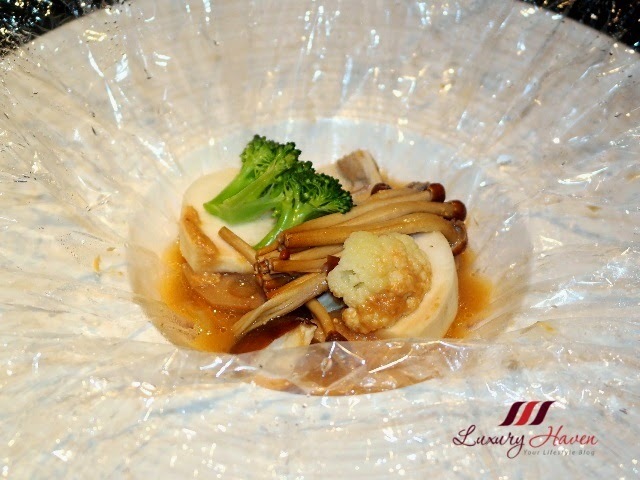 In no time, the special package was ready, and Chef Kamiya opened to unveil the aromatic dish containing a mixture of vegetables with tofu. Apparently, the delectable treat was marinated in miso sauce and mirin for hours to let the flavours infused into the vegetables. Mmmm...... I would love to experiment with this at home too, although I'm not sure those microwavable plastic wrappers can withstand the heat from our grill. 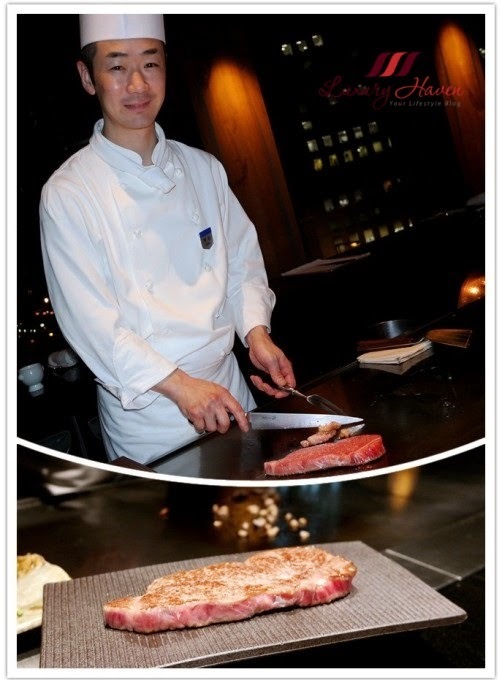 Let's meet the cheerful and handsome Chef Tomonori Kamiya ( 神谷知則 ) of Teppan-yaki Yamanami! 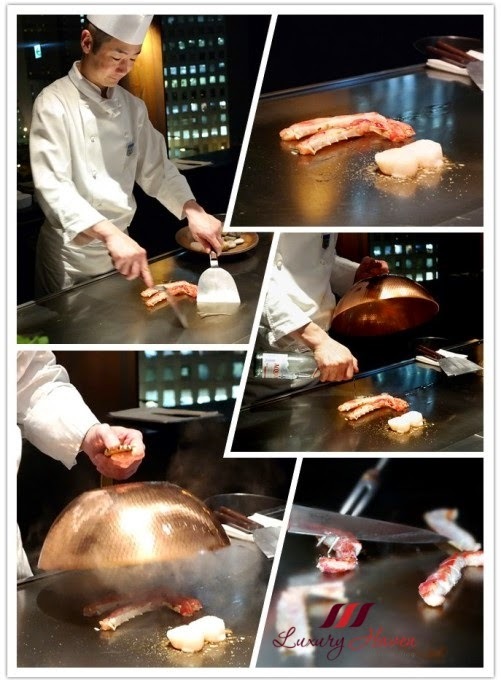 It was certainly a joy watching the chef displaying his culinary skills at the teppan counter. The Kobe beef ( 神戸牛 ) that I had at Yamanami was a A4 grade, and you get to choose between a 120g sirloin (サーロイン ) and 100g fillet (フィレ ). Gosh, just look at those marbling! 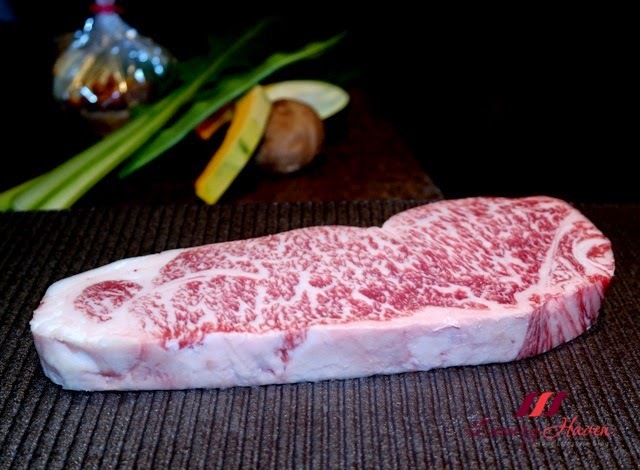 #Wagyu is a high marbling breed of Japanese cattle that presents a supreme quality of beef, but it's quite pricey. If case you're wondering the difference between Kobe beef ( 神戸牛 ) and Wagyu ( 和牛 ), Kobe is a prefecture of Japan and Wagyu is a breed of Japanese cattle. Basically, the most exclusive Wagyu in the world comes from Kobe, Japan. Wa ( 和 ) means Japanese, and gyu ( 牛 ) refers to cow or cattle. So naturally, the real deal has to be both born and bred in Japan. You'll know what I mean if you've tried the Australian Wagyu. 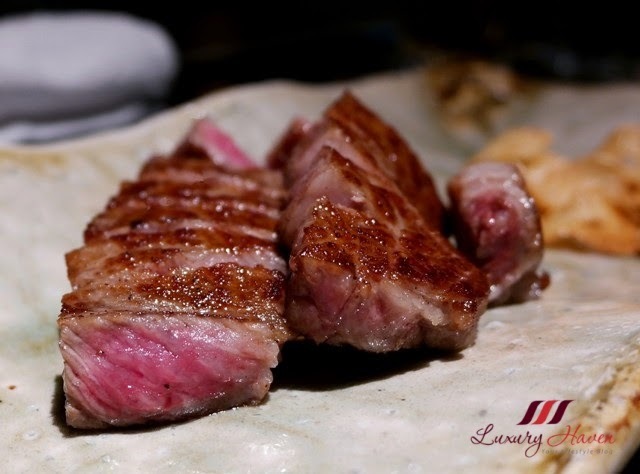 There are whole list of criteria to qualify to be classified as Kobe beef, like the BMS (marbling index), or meeting a yield score of A or B, and having the Japanese Meat Grading Association quality score of 4 or 5. I won't go into the details here. I like to go for medium-well as I don't like my beef too rare. Chef Kamiya mastered the timing perfectly, and my sirloin came out nice and juicy, with the meat melting in my mouth as I sank my teeth into them. It was heavenly! I was so glad my hunger pang for a carnivorous treat was fully satisfied! 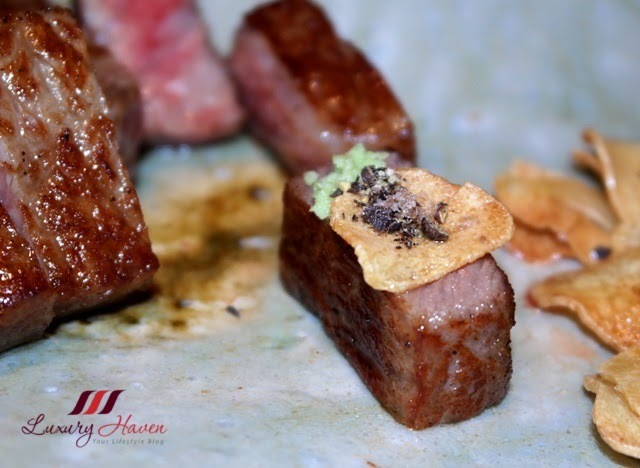 Chef Kamiya suggested that I try pairing my beef with wasabi, pinch of salt and black pepper, and the Aomori garlic. Have you tried eating your steak with Wasabi ( わさび )? I'm sure you'll enjoy as much; it's not as spicy as you think. I know it's rather sinful and unhealthy to indulge in stuff like lard. It's so hard to resist those beef fats they removed from the beef and sear the fats separately to make Japanese fried rice. The crispy bites are real yummy! 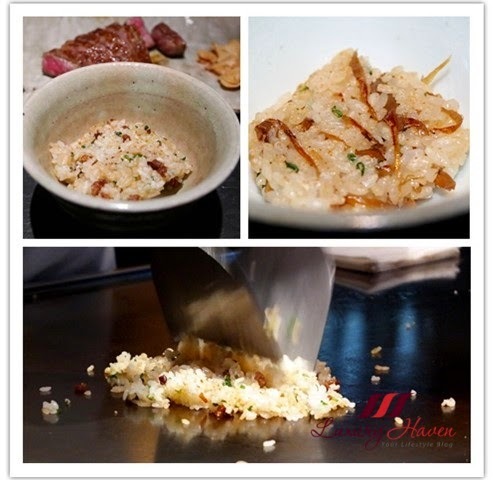 At this teppanyaki dinner, I got to try two types of Fried Rice ( 焼ご飯 ) - garlic and mushroom. While garlic rice is commonly offered at teppanyaki restaurants, it's nice to have something different like the mushroom fried rice which is just as appetizing. The course was paired with a flavourful Black Angus Beef Consommé. 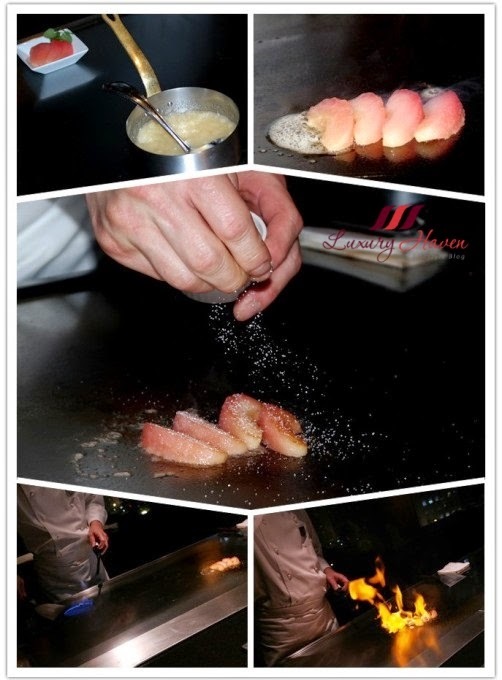 Chef Kamiya continued to woo us with more of his performance, and this time, literally playing with fire!! Our sweet treat was further enhanced by his style of caramelizing the Aomori apples. OMG, it turned out to be an advanced birthday surprise arranged by Keio Plaza Hotel! 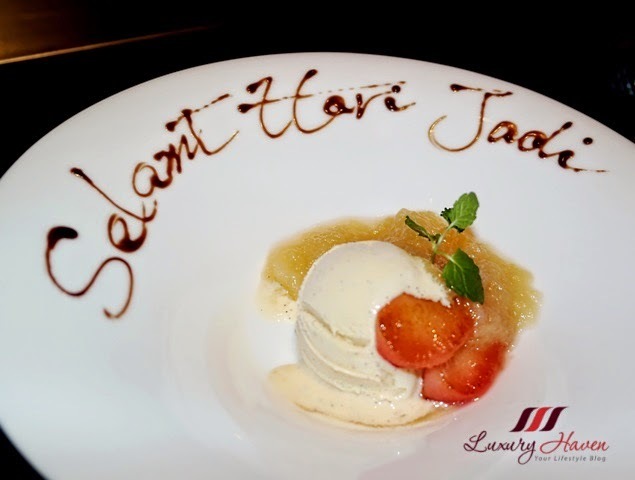 The Flambé Aomori Apples with greetings in Malay " Selemat Hari Jadi! " with ice-cream was a perfect way to end the meal. Thinking I'm from Singapore, Chef Kamiya specially wrote the birthday greetings in Malay, but I'm embarrassed to say that I'm not familiar with the word Jadi. Lol! Hey, there was more! 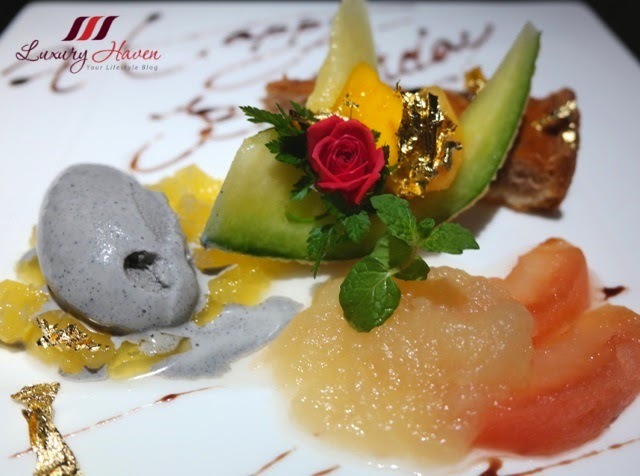 Check out this stunning birthday dessert with caramelized apples, melon tart and sesame ice-cream! 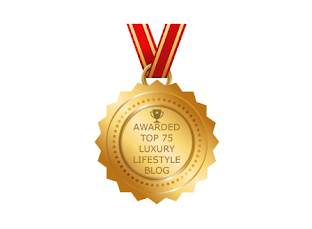 Don't you love the beautiful plating with gold flakes? 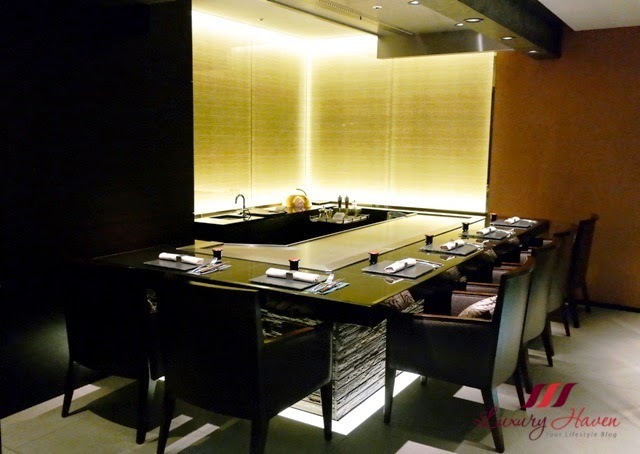 A upmarket teppanyaki restaurant serving quality food with prime beef at reasonable prices. Be greeted with a majestic entrance to Yamanami, taking diners past a Japanese garden with blooming trees and Japanese stonework. At the restaurant, you'll get undivided attention from the friendly chefs and courteous serving staff. 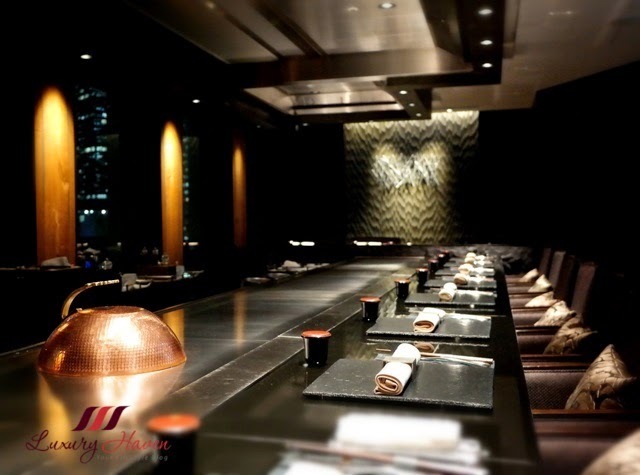 Teppan-yaki Yamanami, a classic Japanese dining spot transporting visitors to an oasis of fine food! 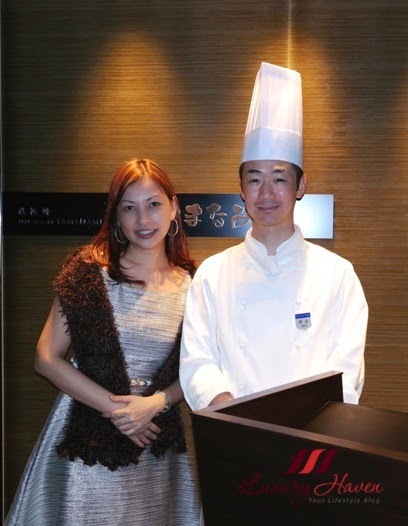 Thank you Keio Plaza Hotel Tokyo and Chef Kamiya, for the entertaining night and good food! I can't comment about beef and I think you know what will be standard answer. But the rest of the dishes - spot on and inviting. And another tempting thing is the lovely dress you are wearing. Nava, I'm glad you've found the rest of the food appetizing as well. Thanks again for the sweet note, dear! The veggie plate and the dessert captured my attention! Divine! Bisma, glad I got you drooling! Gabrielle, feeling so blessed indeed! I'm delighted you've enjoyed the food shots! Helena, thanks again for coming by & leaving your thoughts! Have a good week, dear! 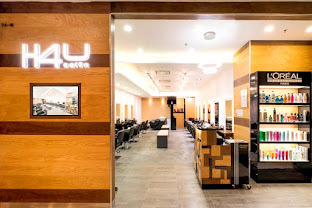 The place is definitely classy! And the food look very enticing! They look delicious and you look stunning in this dress. 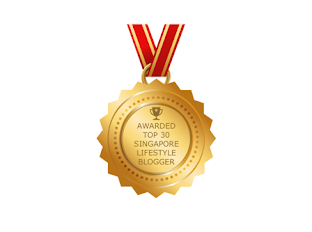 Subha, thanks so much! You certainly make my day! The food is fabulous, especially the Kobe beef. If ever I visit Japan again, I will try to stay in this hotel and eat this. Beside looking delicious he does an amazing job with the display so delightful you want to eat it. Enjoy your weekend doll. Jackie, I've to admit the plating of the dessert especially is fab! It was a delighted watching the chef in action! OMG....the place is amazing, the decor is beautiful and classy, and the food looks DIVINE!! You look gorgeous is your outfit. Great photos Shirley! Annick, are you salivating?? Hahaha! Paola, hahaha! 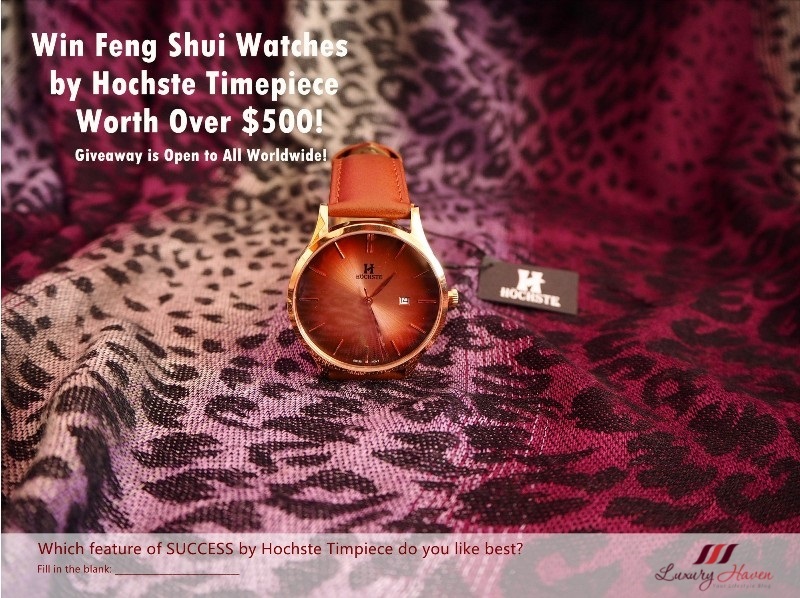 I'm sure you'll love it too! HW, it's so expensive to eat Wagyu here in SG! Gosh, I satisfy my my hungry pang soon! Lol! Yummy food and I love the dark ambience in the restaurant. 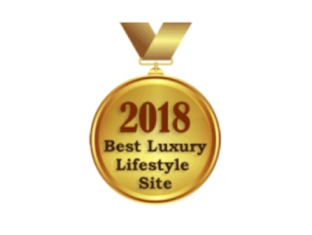 Belulove, enjoy your week ahead! Carmen, I would love to return anytime again! Lyosha, certainly a great place for a decent meal! I don't take beef but this certainly looks yummy! And I love teppanyaki ..... those dishes that you were serve looks so delicious.-----fried garlic on that fried rice...... oh my......this restaurant had certainly awe me ...... from the interior....the wine cellar.... to all the yummy delicious food. Shirley, everything looks so wonderful! Kept looking at the plating and the combos on the plates. Stunning! You look lovely!! Kanak, hahaha! Did you salivate?? Thanks, dearie! Frisda, I'm hungry too! Hahaha! Al dishes look so delicious! 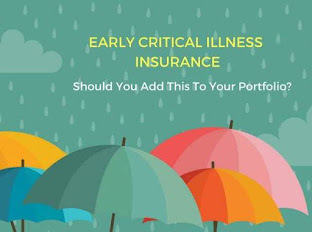 great post and pictures! Glenda, I had a great time feasting there! Wow a lot of fantastic dishes..
Nicky, I'd enjoyed the fresh seafood & the quality meat. I would certainly recommend anyone to have a good meal at Yamanami! Delicious dishes Shirley. You always have beautiful photos. Thx for following me Shirley I already follow you for quite some time, you have to go back one page, last pic bottom row, that's my avatar. 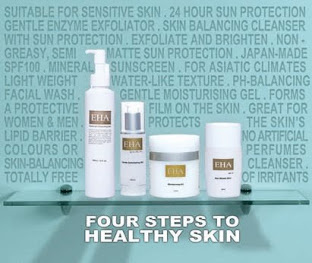 Ania, have a wonderful week! Sera, thanks for the lovely note! Hong, hahaha! You're so cute! Then I'm the actress in the drama. Lol! I love and miss the Kobe meat and everything else on your post here. Since I moved around place to places and its hard to find the right one to go eat. You look great on the last pic Shirley:. xxoo. Enjoy the rest of your weekend! Tanya, you seemed to have such a hectic life shuttling around with three kids. Be sure to take good care of your health, dear. You have such a way with your words. Your review has been perfectly executed just like that talented chef. 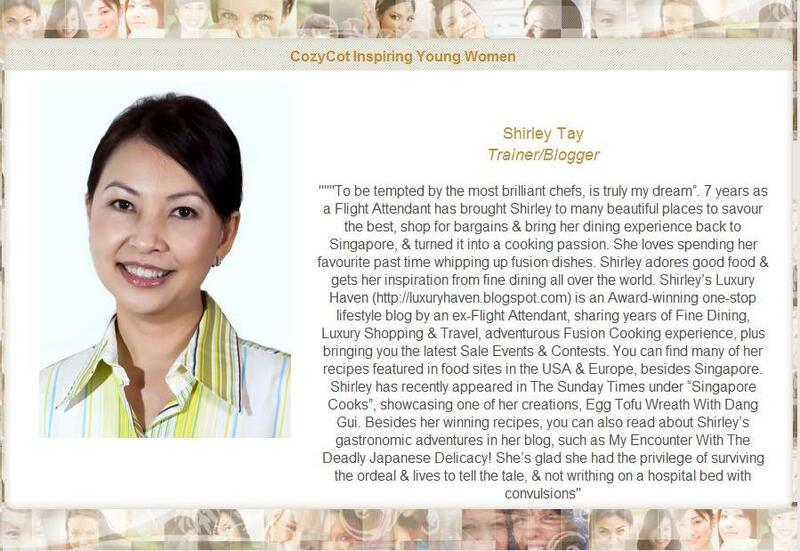 Thank you so much for sharing this restaurant Shirley. Their attention to detail and your birthday surprise were indeed the icing on the cake!!! Louise, appreciate the effort you took to pen your lovely thoughts. You're so fortunate to be able to try these premium beef in New York; bet the authentic ones must be expensive as not many restaurants are certified to serve Kobe beef there from what I gathered. You are correct, Kobe beef is not generally available here. I am a big fan of teppanyaki! I love chicken and beef teppanyaki the most. That Kobe beef is so succulent and juicy. Must be so tender. Drooling!! GZ, I love the food there! Tania, thanks sweetie! Enjoy your week! That's a great shot looking down the long table. Monica, that's awesome especially coming from you! Thanks, dear! I haven't been to a tepanyaki place in years. And I mean years. I need to change this Shirley. Pronto! The food looks amazing. So juicy and mouth watering. I'm a sucker for kobe beef too Shirley! This looks like an incredible dining experience. I need to see if we have any good teppanyaki places in NYC now. My mouth is watering desperately, and I'm supposed to go to bed!!! Salivating now!!! Wish to one day try out this Kobe beef. 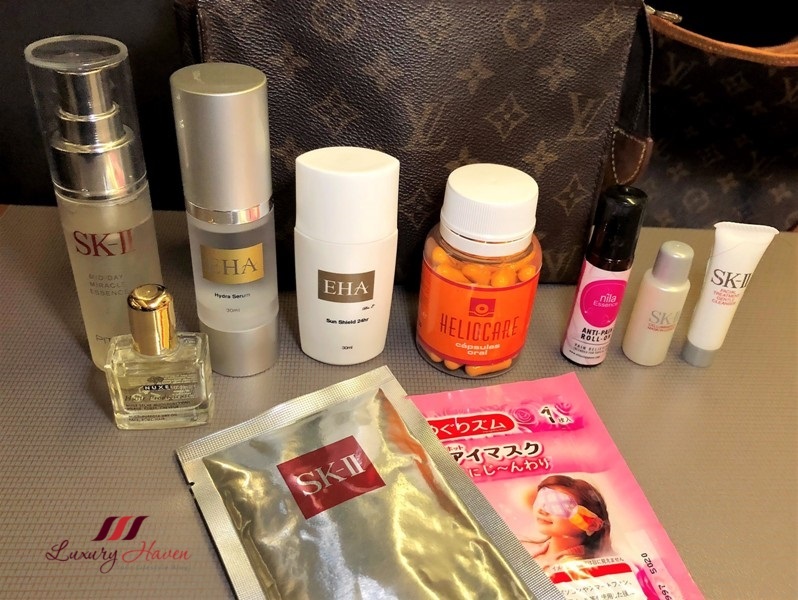 Trishie, you gotta try sweetie! It's out of this world! Adelina, glad you like it too! This is an attractive looking restaurant and I enjoy watching chefs like this. Everything looks so appetising and beautifully presented with different textures and colours. Great photos! Miss B, I've always enjoyed dining at good teppanyaki restaurants; the chefs are so entertaining! It's great having you here & sharing your thoughts with us! Thanks & have a lovely day!